What could a radical improvement look like in your life? People are finding hope. Impossible situations are turning around. Broken lives are being mended. Joy is flooding back into marriages and families. Ever get news so good that it moved you? We’ve discovered a life where every day is kind of like that. How do you respond when your team wins, or someone gives you an incredible gift or you find something valuable that you thought you’d lost? Our worship here is no different. We simply respond to the incredible things God is doing in our lives. We celebrate! Sometimes we clap, sometimes we sing, sometimes we lift our hands up and just tell God how thankful we are. We have a live band and our music tends to run more toward the contemporary. It’s lively. It’s exciting. It’s authentic. We talk about the kinds of things you can use everyday of the week – not just at church on Sunday. Our teaching is down to earth and practical. We base everything on scripture, but work hard to present it in the clearest possible way. We use drama, video, music and just about anything at hand to get the message across. We want you to enjoy yourself – but at the same time leave challenged to grow in your faith. 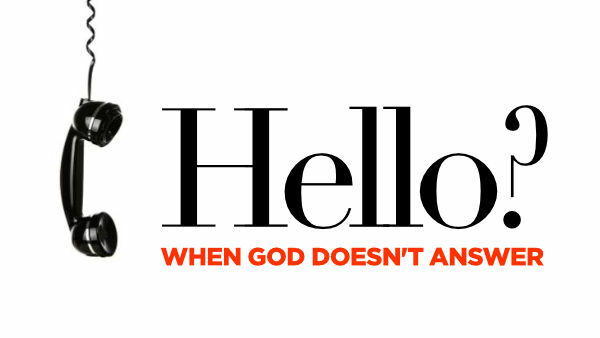 Want to know why God isn’t answering you? We all face times when it feels like God is far away. Our prayers are unanswered and our circumstances go from bad to worse. During these times, God doesn’t just seem distant; he seems distracted. People tell us to pray more. Preachers tell us to have more faith. But what does the Bible say? In this series we’ll explore the lives of three men from the New Testament, each loved by God, but whose circumstances seemed to tell a different story. We have great environments for all age groups so don’t leave anyone at home. Our weekend gatherings are for you – so come dressed however you feel most comfortable. Services last a little over an hour. Our goal is for you to leave feeling it was a great investment. Come a few minutes early and kick back with some free refreshments. Every Sunday morning we provide a fully staffed nursery so you can enjoy a few moments peace…and the service. If there’s anything we can do to make your visit more enjoyable just let us know. We want it to be great. So what are you doing this Sunday?